After not having the car for 2 weeks sitting in a shop (I've been driving it 2 straight years daily), I can appreciate how great this car feels and handles. I was borrowing my friend's 330i F30, really sad how BMW lost its root on handling and etc. I got a thumbs up a year or so ago from a guy in a newer 128i or 135i one time in a Wegman's parking lot ... kind of surprised me because I assumed the car is mostly invisible even to other BMW drivers. That's actually one of the reasons I like it and will never move to a Porsche even though they're better cars. The E46 is understated and classy, I see no need and have no desire to draw attention to myself. I'm kind of nervous to install my CSL airbox in the spring for that reason (loud) but it sounds so damn good in videos. The '14 WRX hatch I drove as my daily for a few months was another story. Almost every other WRX or STI of any year that I passed by gave me a wave or thumbs up. Too bad I disliked the car and replaced it with a silver 2004 330xi that is invisible to everyone. I'm kind of nervous to install my CSL airbox in the spring for that reason (loud) but it sounds so damn good in videos. I deleted the flap and as long as I keep it below 3k RPMs it's barely noticeable, very easy to still drive around quietly. It needs to be WOT to hear it. But you can drive normal and not even notice it. I"m starting to feel this way. I fix the problems, then feel good--new problem then feel bad. But in general, I'm not in a position to "upgrade" financially. I enjoy the car as much as I did 10 years ago when I bought it. I DD a Camry, so when I drive this car I'm reminded what it really means to drive a vehicle--6MT, no doo-dads, great visibility, etc. It's a constant battle of whether I should leave it alone or modify it more. But I agree, everytime I step into my car after driving any other car, I realize how much I love it. Just took mine out for its first drive of the year. Hadn’t driven the thing in more than a month. It just feels more like a living thing (which is both good and indiosyncratic/bad) than my newer cars, which feel more like inert weapons. 100% agreed. Nothing solves new car wants for me like driving a new car. This is my situation. Older guys love the color. I guess it reminds of their younger days when more exotic/wacky colors used to be the norm. It gets better and worse all that same time. In terms of comfort, definitely gets worse. I drove a new chevy malibu and was absolutely blown away by the comfort and ride quality. 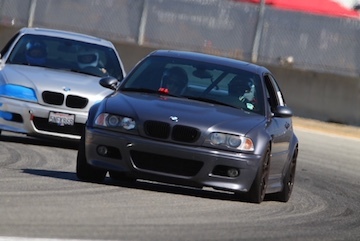 In terms of speed, it is definitely falling behind in the 0-60 battle, but the e46 was never about that. With that said, the e46 has a crazy top end which will give most newer sports cars a run for their money. In terms of looks, definitely getting better. But in terms of overall driving experience, it is staying right up there with the greats. As a driving enthusiast who enjoys NA high-revving RWD thrills, the e46 has seen very little competition in recent years. With nearly everything going FI, there hasnt really been an NA FR 2+2 car like the e46 m3 since the e92. That is one of the reasons why I plan on keeping my M forever. All times are GMT. The time now is 10:14:26 AM.